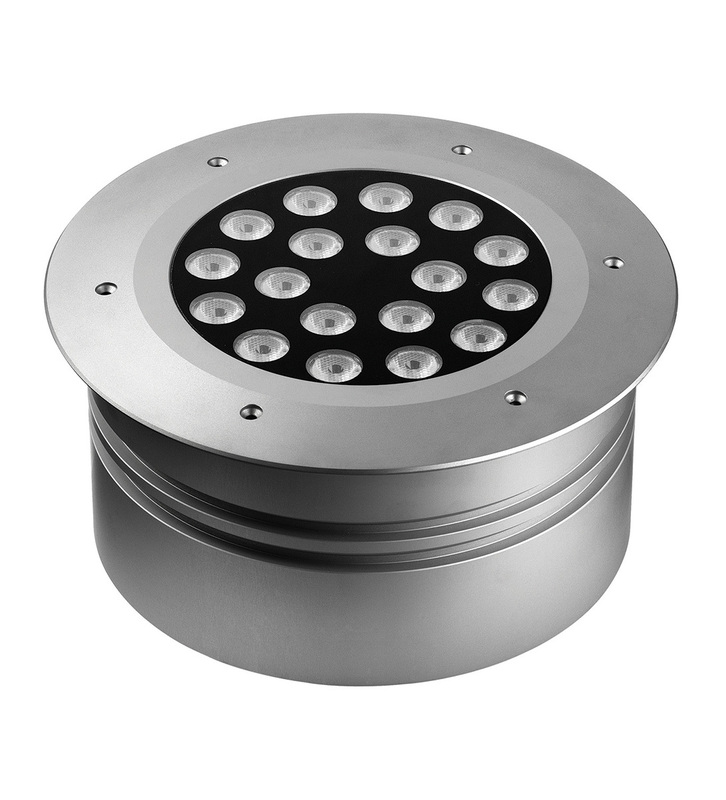 The Bonn recessed product is suitable for the diffused lighting of buildings, architectural features and outdoor areas. 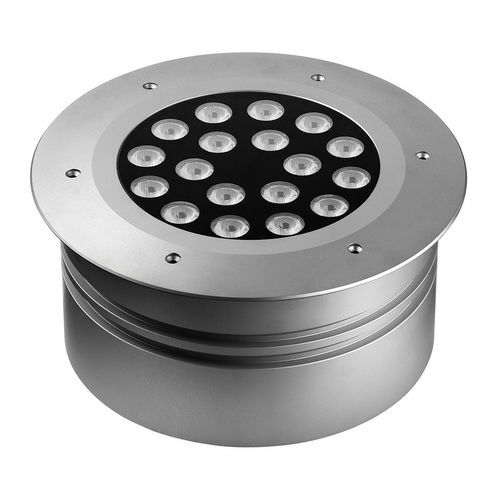 Recessed into the ground, it can be used to light facades, arches, walls and tall trees. Through different configurations of the secondary optics, it can be used as a floodlight or spotlight, and the RGB version can be used for scenic effects in all situations where colour is required to create an evocative atmosphere. Body in corrosion-resistant anodized aluminium. Extra-clear safety glass with a thickness of 6 mm, ceramic-coated rear. Equipped with 2 m connection cable; an extension of up to 30 m is available on request. Electronic components, dimmable with external dimmer. Highly efficient secondary lens. For recessing into the ground, to be used only with the appropriate housing, which is an integral part of the light itself. Walkover device.